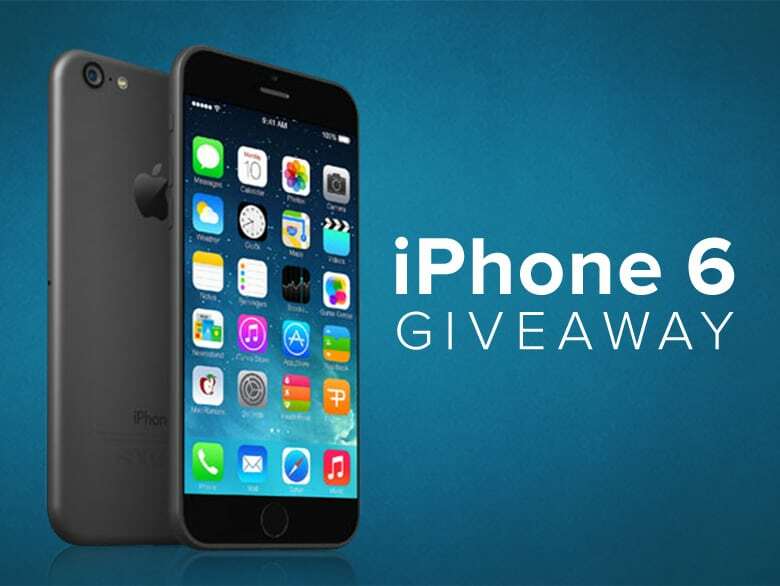 iPhone 6/6 Plus Giveaway: Win the Free iPhone 6/6 Plus Now! Stand in a queue at your local retailer for hours to purchase the newest Apple iPhone 6 or iPhone 6 Plus? Strapped for cash to pay the expensive iPhone 6/6 Plus? Now with a third option, you can liberate yourself from these two embarrassing conditions. That is to win the latest iPhone 6/6 Plus for free on the iPhone 6/6 Plus giveaway deals. Don't doubt your eyes. It's true that once you enter the Epic iPhone 6 Giveaway at MacXDVD Halloween giveaway page and share this 2014 Halloween activity to Facebook or Twitter, later sumbit your valid E-mail address and then you will have good chance to be the winner to get the 100% free iPhone 6. It's quite easy to accomplish the iPhone 6/6 Plus giveaway steps. So no matter you are a product expert or a green hand, you all have the same chance to be the lucky dog to win the most advanced iPhone 6/6 Plus for free. 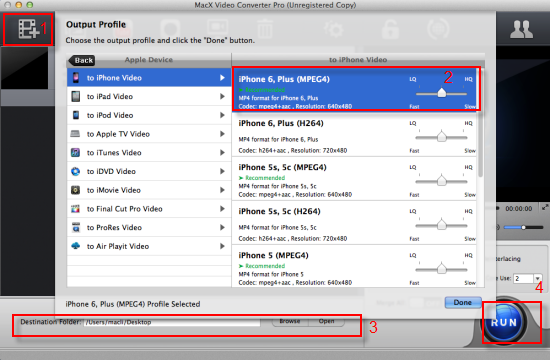 Recently updated video converter for iPhone iPad-MacX iPhone Video Converter also joins the Halloween giveaway party to let you hassle-free convert any video like MKV, AVCHD, AVI, M2TS, MP4, WMV, etc to iPhone (iPhone 6/6 Plus), iPad (iPad Air 2/Mini 3), Apple TV, iTunes, MOV, MP4, M4V, MP3, etc with original quality on Mac OS X Yosemite. 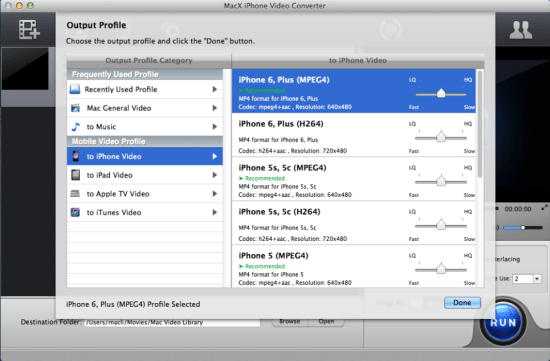 Now this first-rate iPhone iPad video converter for Mac is accessible to any user at Halloween giveaway page without spending you a single dime. Seize chance before Nov.5, 2014 and this best-ever video converting software for iPhone 6/6 Plus is yours for totally cost-free. Good things always come in pairs. 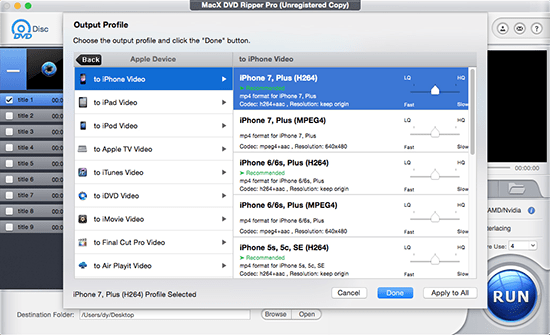 In a bit to let you have a better multimedia experience on the free iPhone 6/6 Plus, MacXDVD, a leading provider of Mac software products, is set to launch up to 50% discount on its flagship product MacX DVD Ripper Pro to make you hassle-free rip and copy the latest Disney DVDs like Maleficent, Paramount DVDs like Transformers 4 to your iPhone 6/6 Plus MP4, MOV format, with easy removal of Disney DRM, Sony ARccOS, CSS, Region Code, UOPs, etc. With this superb yet price-off DVD copy software for iPhone 6, you can freely watch any blockbuster on your free iPhone 6/6 Plus while on the long plane trip or car ride. For those who get the free iPhone 6/6 Plus and thirst for watching online YouTube HD video on iPhone 6/6+, never mind! MacXDVD still satisfies your craving with its award-winning MacX Video Converter Pro, which also surprises you at its strong performance in converting among SD and HD videos, including MP4, MOV, AVI, FLV, 3GP, MKV, AVCHD,MTS, MP3, etc. with over 180 video and 14 audio formats, let alone converting 720P, 1080P, 4K UHD YouTube video to iPhone 6/6+. Now this leading video converter for iPhone 6 is available to convert video, download & convert YouTube, record screen video and make slideshow video with 50% price off. The free iPhone 6/6 + winning opportunity is just like Angel's vists few and rare, and so is the MacXDVD software promotion. Once you stumble upon, just cherish the once-in-a-blue-moon chance at 2014 Halloween special offer.